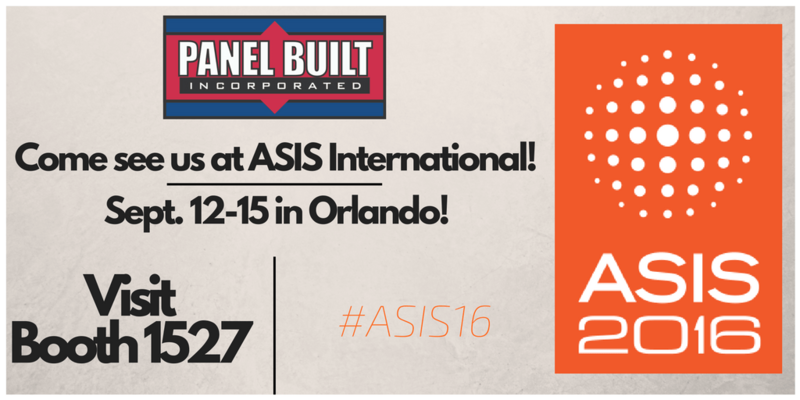 ORLANDO, FLORIDA – On September 12th through the 15th, Panel Built, Inc. will be attending the 62th annual ASIS International Security Expo. Over the past couple of years, PBI has made a concerted effort to improve and enhance our line of guard booths. At ASIS International, we will be proudly showcasing our line of customized, ballistic rated guard booths. These buildings can be constructed to be bullet proof in cooridnance with all NIJ and UL levels. With applications in military bases, airports, prison systems, theme parks, etc., the ballistic rated buildings provide benefits to a wide range of high risk industries. Plus, the buildings are mobile, allowing transportation flexibility around the facility. With 20,000 professionals around the world, the safety benefits of our ballistic rated guard houses will be on the largest stage in the security industry.